I have worked for the facebook robot project for almost five weeks. During these five weeks, I searched the components, built the circuit, and discuss the problems and ideas with my mentor Charith and Isuru. Currently, I have three tasks, LCD module selection, circuit and firmware development, robot mechanism design, and communication protocol. For this part, I have chosen two types of LCD module for the robot display function by comparing and contrast several tyes of LCD module. These two module are small in size and low power consumption. They are currently the best solution for the robot design. However, these modules are the graphic type, it increases the firmware workload compared with using alphanumeric LCD. 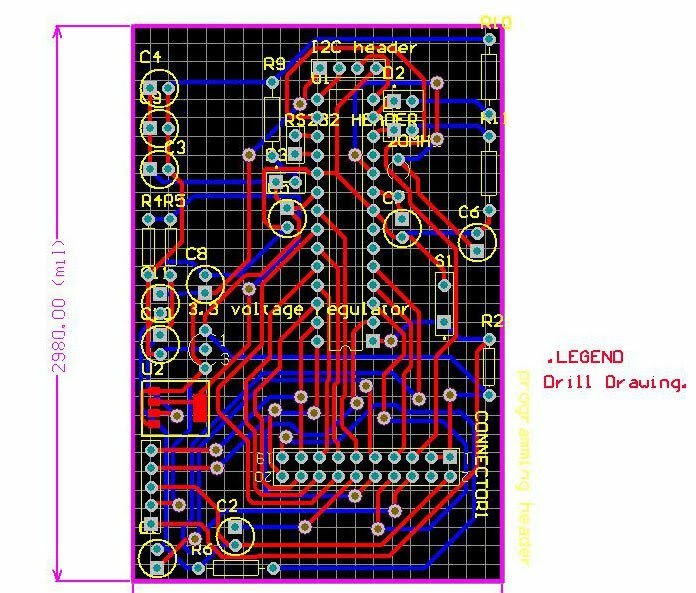 Also I have designed the circuit for the LCD module development. Figure 1 shows the last version of the development circuit after several times of modification. The development board is integrated with programming header, I2C and RS232 communication header, PIC18F2620 circuit, LED indicator, and LCD module connector header. For the firmware development, I have drafted a system timing cycle program for DD-12864WE-1A and several parts of communication functions for the communication between the LCD module and PIC18F2620. These two tasks are assinged to me during the Wednesday (24th Sep) meeting. In this meeting I am assigned the task to develop a ball shape mechanism to let the robot interface with human. Also I will start to write a communication protocol to link computer, LCD display and the interface together to implement the general functions of the prototype. For the future work, I will firstly try to finish the circuit debugging if needed and implenment the character display functions and the basic functions of the LCD display. After that, I will focuse on the physical robot mechanism design and how the robot interfacing with human and the communication protocol development. Also, I will re-design the circuit with a smaller size to fit into robot if necesary.